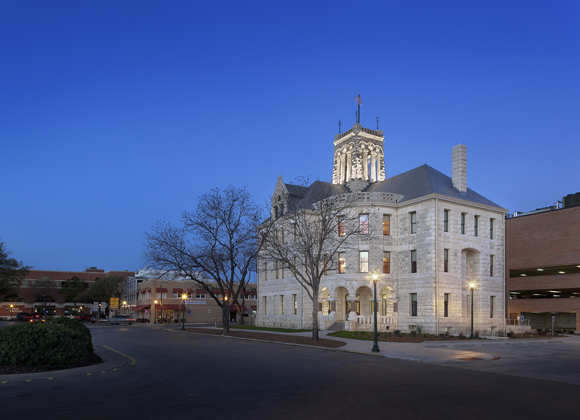 Comal County Courthouse - Volz & Associates Inc. 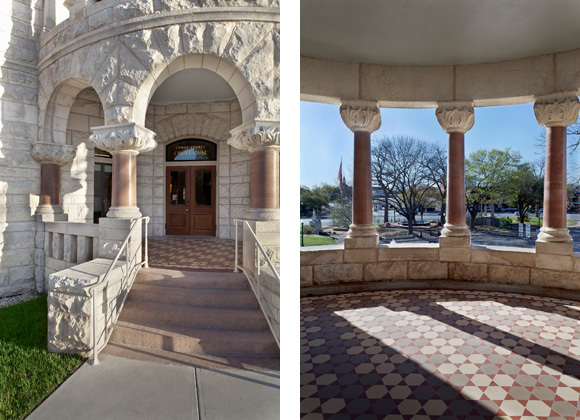 The Comal County Courthouse was awarded Best Restoration from Preservation Texas on December 5, 2013. 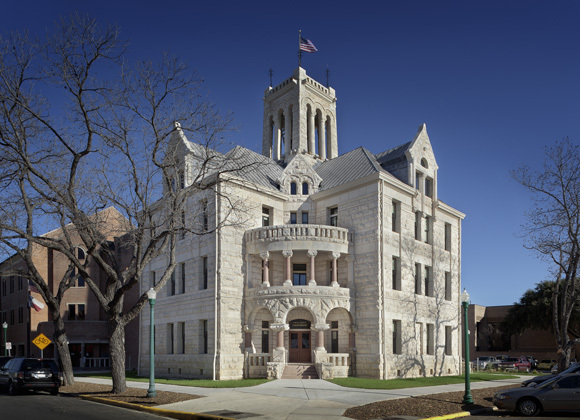 The Comal County Courthouse is one of James Riely Gordon’s twelve remaining Texas courthouses. Designed in his renowned Romanesque Revival style, it was completed in 1898. The building reflects his most popular Greek cross plan. 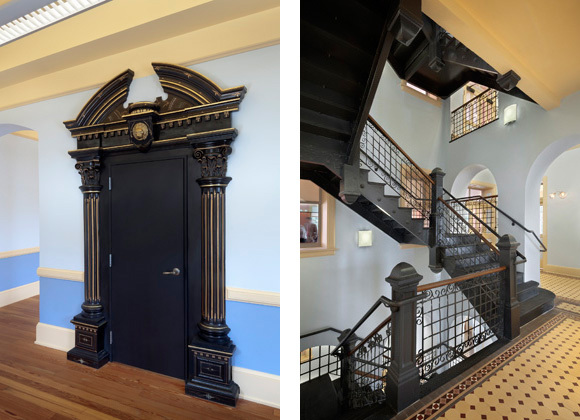 Entries are at the four reentrant corners, and the center of the two axis’ feature a cast-iron stair and skylight. One important aspect of his design is the strategic placement of interior windows, creating a ‘stack-effect’ at the stair and skylight that enhances and promotes airflow throughout the interior. Though the skylight is now sealed for modern mechanical systems and fire protection, the teams involved with this restoration experienced during construction the dramatic and effective cooling ventilation system of this original design. 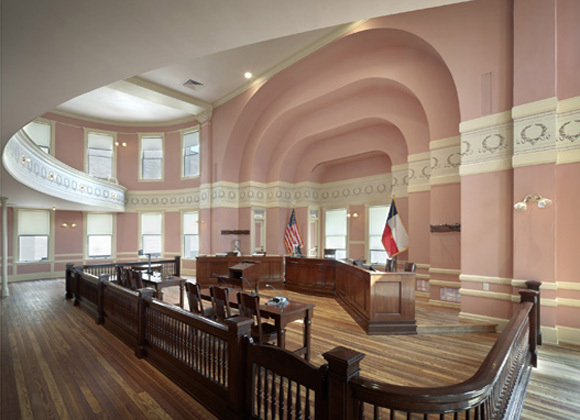 Several original drawings for this courthouse survived and were used to guide this restoration. 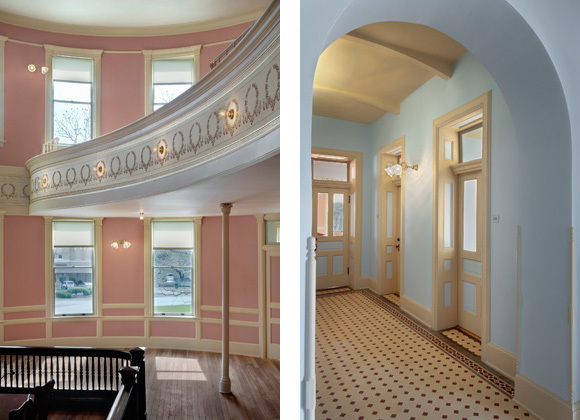 There are numerous examples that demonstrate this project went above and beyond a typical restoration. The preliminary fiscal planning efforts became the County’s foundation, empowering their commitment to the project to its end. That commitment was confirmed repeatedly in their attention to detail. They consistently voted for ‘accurate restoration’ over less-developed inexpensive solutions. An example of this is the hardware finish work, which took extra time to give the manufacturer an opportunity to refine the antiqued copper finish. 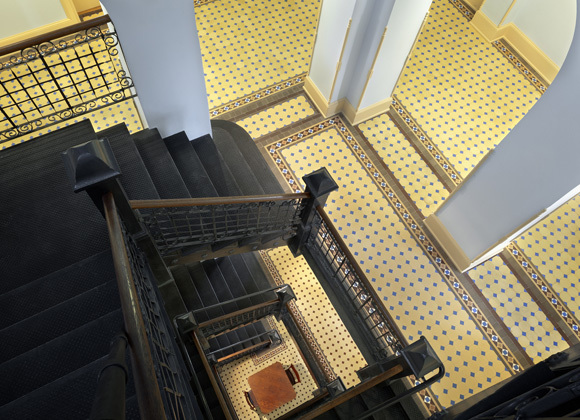 The different colored tile dots at each floor was a late discovery and, because the tile order had been submitted, some material cost was absorbed to update the tile design with the new information. 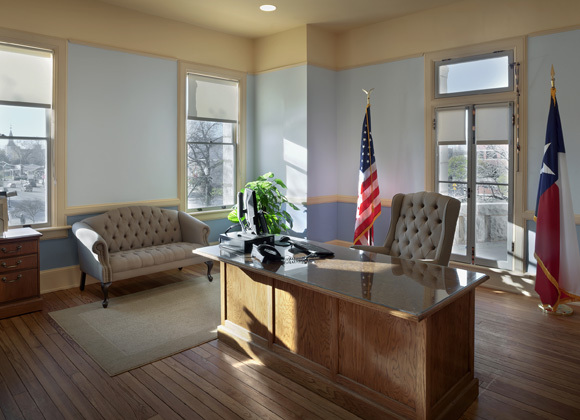 The District Courtroom wallpaper frieze received painstaking attention; in response to the flat digital look of the first mock-up, the County readily embraced upgrading to a custom oatmeal paper to better achieve an authentic, textured reproduction that revealed the depth and dimension of the original. The County’s good stewardship over the course of the project was reflected in their community support, and in how the community was kept abreast of the work. They released a monthly newsletter exclusively about the project that summarized the progress, highlighted the people involved and any discoveries made along the way. Their citizens were educated and well informed throughout. In historic preservation, this project is the premiere example of the power and positive impact work like this has on communities and its influence on the people who support them.